White porcelain Mother Nature's way (no unnatural whiteners or additives). 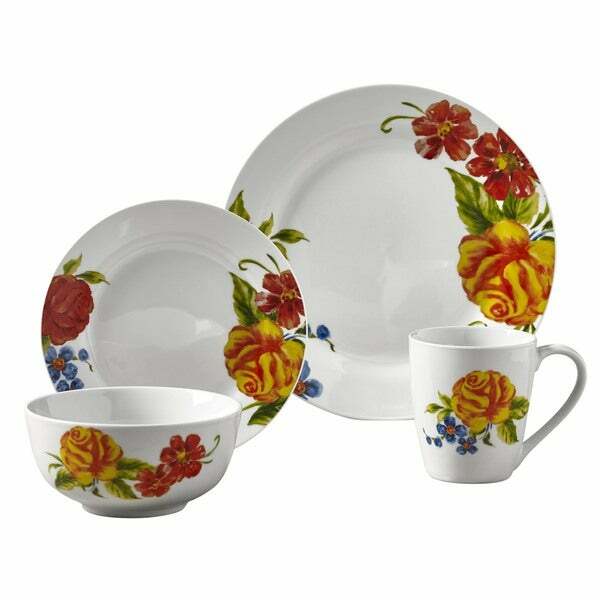 This Garce Porcelain Round Dinnerware Set is perfect for your healthy casual lifestyle. Made from white porcelain as nature intended - with no whitening agents or metal-based color additives, it exceeds Prop 65 and FDA standards. Grace is strong enough for everyday use, yet fashionable enough for casual dining and entertaining. Classic round bodies showcase fresh contemporary Goreous Floral Arrangement pattern design for a touch of class that complements any table setting and presents beautifully.